ATP! has teamed up with Live Nation to giveaway a pair of tickets to select dates (list below) of twenty one pilots' upcoming fall headlining tour. 3) Tweet: "Hey @AlterThePress! 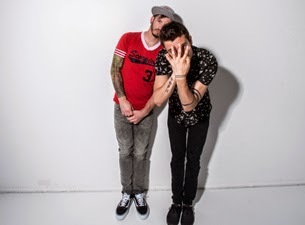 I want to win tickets to see @twentyonepilots in [insert city name]!" The contest is open until June 3rd. Dates and ticket information for the tour can be found here.